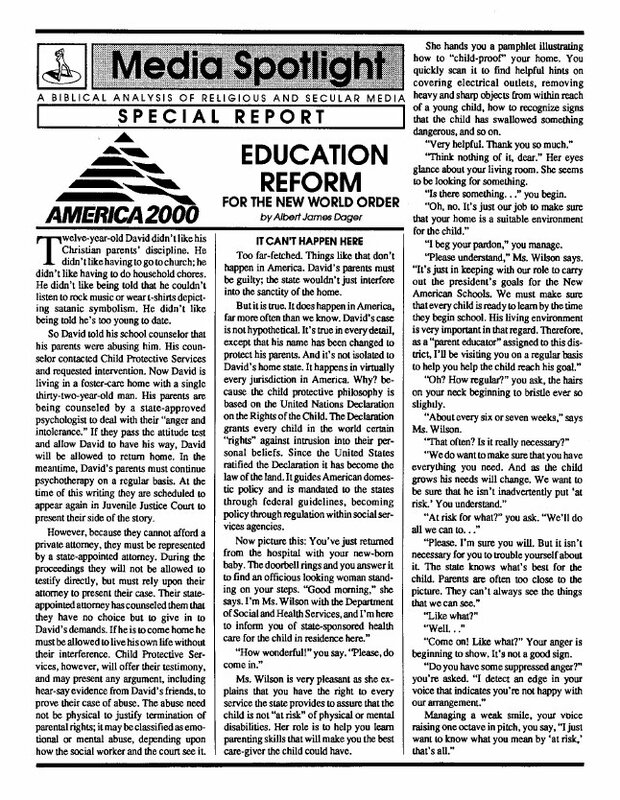 This report exposes the roots of America's educational demise, showing how the Department of Education is enforcing United Nations mandates for government schools under the Global Education Project established in 1989. The goal is to create a global citizenry whose loyalty is directed toward internationalism. In the process, there is being implemented a concerted effort to stamp out any biblical influence in the lives of children attending government schools. In spite of the tens of millions of dollars spent on D.A.R.E. (Drug Abuse Resistance Education), studies have found that this and similar programs designed to keep kids off drugs and alcohol are ineffective. Some even state that kids who go through these programs are more likely rather than less likely to take up the use of drugs and/or alcohol. Yet the social engineers in government education insist on pushing these programs upon unsuspecting children and their parents. 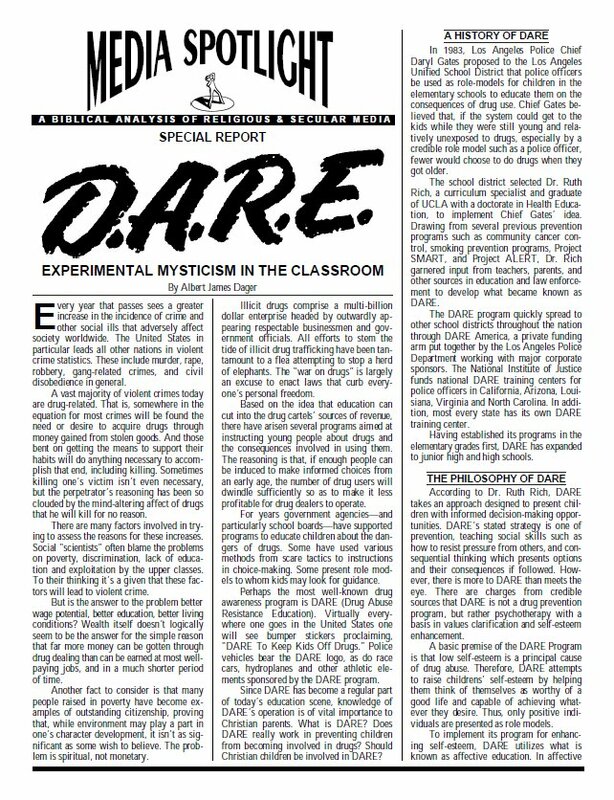 This report exposes the lies and corruption behind D.A.R.E. and the entire concept of psychology-based critical thinking exercises.